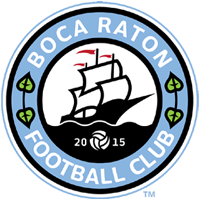 BOCA RATON, FL – After strong deliberation between the coaching staff and the ownership group, Colby Burdette has been suspended by Boca Raton Football Club, effective immediately. The club prides itself in its professionalism and sportsmanlike conduct. The club will gather all the necessary information in order to make a final decision on Burdette’s status within seven days.